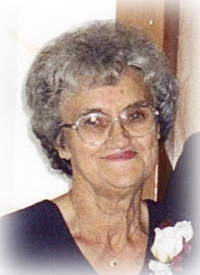 On April 10, 2019, Mrs. Lily Rosychuk of Brosseau passed away at the age of 84 years. She is survived by her loving children, Lorie (Jim) Kupchenko, Barry (Denise) Rosychuk, Geraldine Brown (Mark Grant) & Rick (Cheryl) Rosychuk; 15 grandchildren; 15 great-grandchildren; brother, Alex (Evelyn) Popowich; sister-in-law, Agnes Popowich; numerous nieces & nephews. Mrs. Rosychuk was predeceased by her husband, Triffon; parents, Fred & Zenovia Popowich; brothers, Mike, Nick, Casey & Peter. A Funeral Service will be held on Thursday, April 18 at 10:30 a.m. at Grace Gardens Funeral Chapel, St. Paul. Reverend Father John Lipinski will be officiating, with interment in St. Michael’s Cemetery, Lac Bellevue. If desired, donations may be made to a charity of one’s choice c/o 5626 – 51 Street, St. Paul, AB T0A 3A1. To send condolences online, please visit www.gracegardensfuneralchapel.com. Rick and Cheryl and family, We are so sorry to read of your mother’s passing from her earthly home. May you feel our love surround you. So sorry to hear the sad news. Our deepest condolences to the family. Chernish the memories. Relation: Friend of the family. To the entire Rosychuk family. I am so sorry about your mom. I have such wonderful memories of her. Most recently of her telling me how she loved dancing with your dad. She always had her hair done. A true lady. I am sorry I cannot attend the funeral due to work. I will be thinking of all of you. 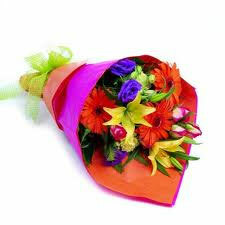 We were very sorry to hear of your dear Mother’s passing, she was a wonderful lady with a kind heart. We pray that your precious memories of her will help you through this very sad time. Expressing our Deepest Sympathy keeping you in our thoughts and prayers.